It’s National Moonshine Day, in these United States. 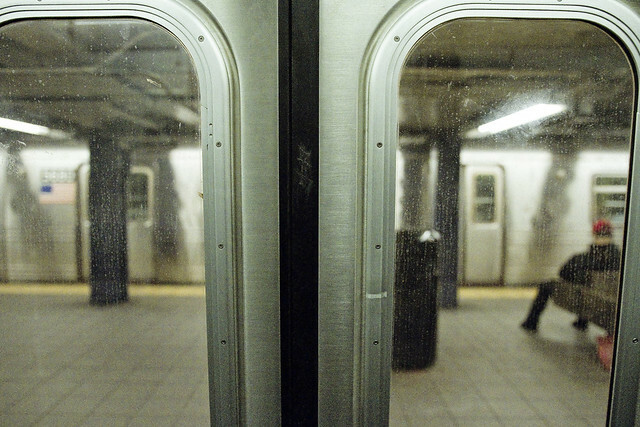 It actually isn’t your imagination, the quality of subway service has definitively declined in recent months. There has been a concurrent decline in LIRR service, and I understand the Metro North ridership isn’t too happy either. I did a bit of research, and discovered the likely reason why. It seems that Fernando Ferrer is now the acting chairman of the MTA. Yep, Mr. Ferrer, who was appointed to be the Borough President of the Bronx (back then he called himself “Freddy”) after his predecessor went to jail for corruption and personally presided over that Borough’s period of absolute cultural and societal apogee – from 1987-2001 – is temporarily in charge of things at MTA. Explains everything, huh? I know. If you went to the Monster.com site or were reviewing LinkedIn job listings for “Chairman of the MTA,” it would be strange if the resume requirements didn’t ask for “identity politician, failed mayoral candidate, disastrous Borough President, or Loyal Political Party Apparatchnik who never held a real job before entering politics right out of college.” If you think Bill de Blasio is lousy, read up on Ferrer. De Blasio actually stole the whole “tale of two cities” line from Ferrer’s 2001 mayoral campaign, which indicates to you how few of the ideas the current Mayor offers are actually his own. Perhaps, the resume requirements for MTA chairman (temporary, acting, or otherwise) should include – in addition to knowing how to use Excel and Outlook – some experience in running a commuter rail service and or a largish fleet of buses rather than being a loyal if ineffective and ideologically based machine politician. Just saying. Ferrer, Mark Green… these guys are like some sort of recurring political infection which flares up occasionally. I’ve been walking past this access cover in Astoria for nearly ten years, and never noticed it before last week. It indicates that some of the oldest municipal “tackle” is found below, related to the water supply system. I wrote about a similar hatch cover encountered over in Williamsburg back in January of this year, but you generally don’t see hatches of this type in Queens. 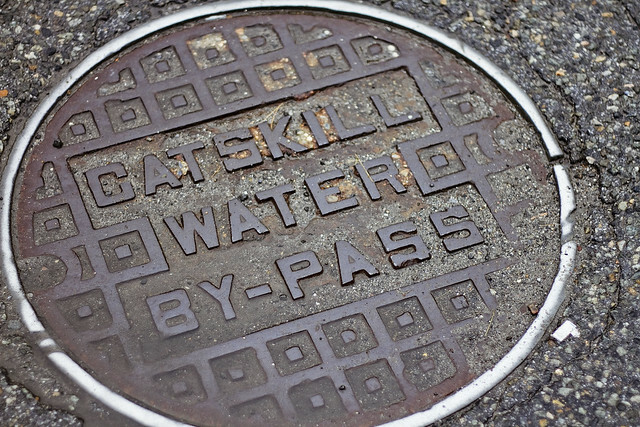 That’s because LIC (and Newtown) had their own water supply companies which were separate from the Croton system at the time of City consolidation in 1898, and is why you commonly observe access covers adorned with “LIC” in western Queens rather than ones with the Catskill tag. Whatever pipe is found down there – and who can guess, all there is, that might be hidden down there – it’s controlled by the modern day DEP today, but it’s still a bit odd that I’ve never noticed this particular cover before. 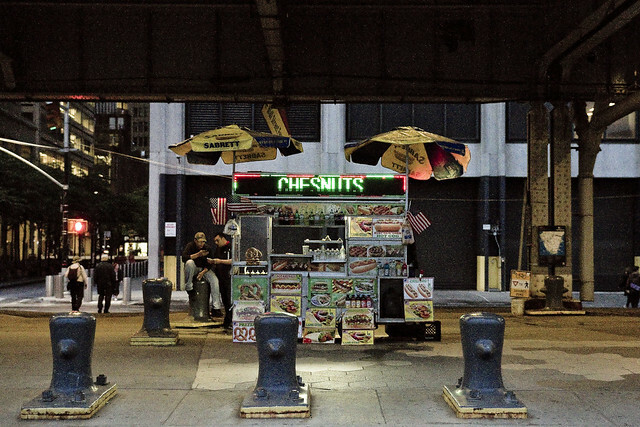 Over in the City, at Governeurs Lane’s terminus nearby the ferry terminal at Pier 11, this food cart was spotted. Can’t tell you why, but it just grabbed my eye. That’s the FDR drive up above, which would normally lead me into a whole “thing” about this being the “house of Robert Moses” but after ranting about Freddy Ferrer, I’m a bit wobbly. See y’all tonight at Green Drinks Queens, at the Riverview Restaurant in LIC, details are below. Come with? Sir, are you daring to suggest that a satrap ought to be competent rather than meeting the accepted criteria of identity, ideological purity and a lickspittle of unquestionable personal and political loyalty? Do you dare to stand a yellow robed hierophant in such insouciant defiance of our elected godlings, The Ruling Cargo Cult Party of our metropolis and The One True Political Religion upon which it stands? Your Betters have informed you that there are no problems in our People’s Banana Empire, the Sacred Scriptures of the Frankfurt Prophets are infallible and that certain trucks that aren’t supposed to be parked on the street are not parked on the street. Empirical reality be damned. Therefore cease at once believing your lying eyes, close your ears to any further profane whispers from that evil black raven nor partake of the red pill he proffers and pay no attention to the man behind the curtain. Ponder instead Leviathan and It’s Enemies. Thanks for the pertinent info about our interim MTA commish, a career partisan political hack, bum and perennial failure Freddie Ferrer, who will now be known as Chairman F–c-n’ F-c-. This explains a lot of the horrendous service of the past year and especially since the start of spring. The lack of reporting about the appointment of this useless amoeba jives with the way the transit system misinforms the public of incessant delays.